Rental property ownership is a popular investment strategy for many, but it brings a higher risk of lawsuits and creditors compared with other potential investment options. Lawsuits may arise for a variety due to a tenant, guest, delivery person, neighbor, or repairman getting injured on the property. This could arise from a slip and fall, a balcony collapse, mold issues, a fire, you name it. As the owner of the property, you can be sued not only for things that you knew about, but for things that you “should have” known about. While some of these risks may be covered by insurance, it’s always possible that a claim could exceed your insurance policy coverage. In some instances, there may be risks that are not covered by your insurance. For example, let’s say that you decide to sell the rental property. The purchaser could later try to sue you for undisclosed defects on the property claiming that the supposed defects should have been disclosed prior to the sale. 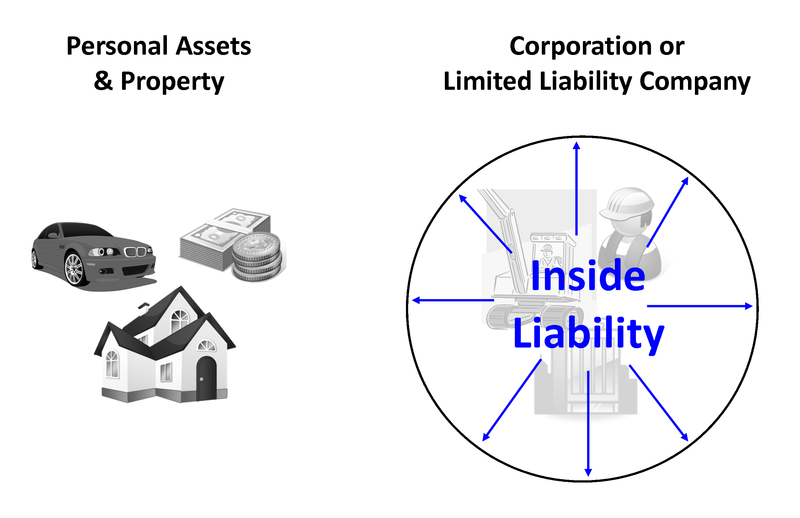 The Limited Liability Company (LLC) is a popular asset protection tool for rental property owners. An LLC is a business entity that you set up to own your rental property. If the LLC is properly set up and maintained, then the LLC separates any potential liability from the rental property from your personal assets. 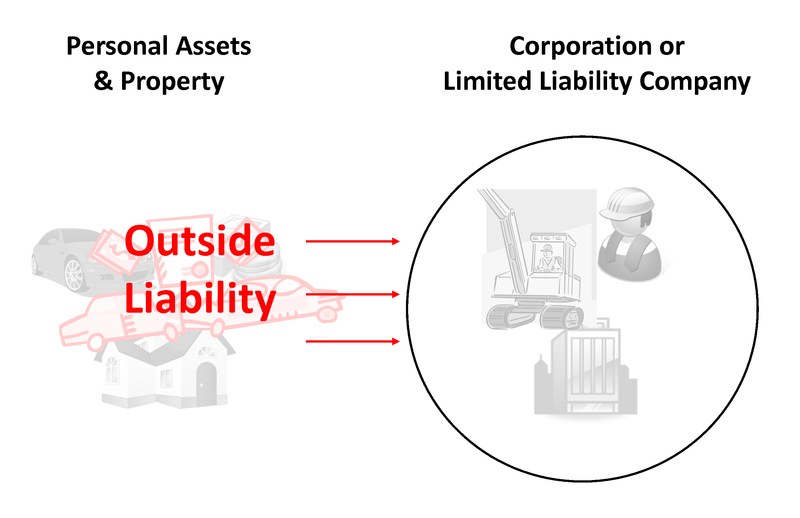 This is referred to as “inside liability.” If a lawsuit is initiated that relates to the rental property, the plaintiff sues the owner of the rental property—which is the LLC, leaving the assets of the LLC exposed to the lawsuit (i.e., the rental property and any other assets the LLC may own). Some rental property owners will set up an LLC when they buy their first rental property. Then, over time, they begin purchasing additional rental properties and they add them to the same LLC. Unfortunately, this starts to dilute the asset protection. If the LLC owns multiple properties and a lawsuit arises at one property, a plaintiff can bring a lawsuit and try to go after all assets of the LLC—including the other rental properties. Thus, good practice is to set up a separate LLC for each rental property. There are sometimes referred to as “Separate Asset” Limited Liability Companies. An LLC can provide some privacy protect from nosy friends or neighbors. When the LLC is created, with the assistance of an attorney, the paperwork can be set up so as to avoid disclosing that you are the person creating the LLC. If the property is purchased directly in the name of the LLC, your name will not appear on the property records. If you already owned the property and you transfer it an LLC, county tax records will reflect that the property is owned by the LLC, but your name will still show as a prior owner (though this is also true if you sell the property). For further privacy, you may wish to set up a Post Office Box to receive all mail relating to the LLC and the property as county property tax records also show not only the physical address of the property, but the mailing address used to receive property tax bills and notices. This can help lend some privacy from nosy friends or neighbors, but it does not guarantee total anonymity or protection as there are other information sources that some, such as lawyers if you were being sued, may know to check. If further privacy or anonymity is important to you, you should discuss it further with proper legal counsel. For most, the biggest downside of using LLCs for asset protection is the additional cost and time to administer the LLCs. When setting up the LLC, there will be initial filing fees to the North Carolina Secretary of State of $125, plus any legal fees for assistance in setting up the LLC and accompanying operating agreement. Each year, the LLC will be required to file an annual report to the North Carolina Secretary of State and pay a $200 filing fee to the State. Your insurance costs may be higher because each LLC should have it’s own insurance policy. Your tax filings may also become more complicated. If you are the sole owner, then a Single-Member LLC usually operates as a “pass through” entity for income tax purposes and any income will be reported on your personal income tax return. However, if the LLC has multiple owners/investors, then the tax filings can start to become more cumbersome and you’ll likely want to hire an attorney or CPA to assist with the filings. Some of our clients that own rental property have opted to use Asset Protection Trusts as an alternative to LLCs. For those that own multiple rental properties, the potential cost to set up and maintain multiple Single Member LLCs can start to become burdensome. As such, we’ve had some clients opt to use Asset Protection Trusts as an alternative. While the legal fees to establish an Asset Protection Trust may be higher than those to set up an LLC, if you have multiple properties, the fees to set up separate LLCs can really start to add up between the legal fees, filing fees, and annual reporting fees. Most rental property owners tend to focus on the risks associated with their ownership of rental property, but they forget to consider their other liability risks. “Outside” Liability is liability risk stemming from your personal life, such as from a car accident, boating or ATV accident, or someone getting injured at your home. If you are personally sued, the creditor can try to go after your personal assets and they can pursue a charging order against any LLCs that you own. A charging order gives the creditor the right to go after any distributions from the LLC to you as the owner of the LLC. While LLCs can be a great asset protection tool for a rental property owner, coupling it with one or more Asset Protection Trusts can take your protection to the next level. A well-designed asset protection plan should be structured to minimize risk not just from your rental properties, but also from “outside” liability that may put your personal assets at risk.